Remember folks: Republicans are insane conspiracy theorists for raising the possibility that Democrats staged this mail bomb stunt to help them in the midterms, but Democrats are perfectly reasonable for raising the possibility it was staged by the Russians. Just so we're clear: Democrats are allowed to label the unknown culprit the "#MAGABomber" and Twitter execs will green-light the hashtag and send it to the top of trending, but Republicans are not allowed to question this event in any way. In fact, Republicans are actually morally obligated to stop criticizing Democrats and George Soros altogether in the final days before the midterms, lest they be personally implicated in supporting domestic terrorism. 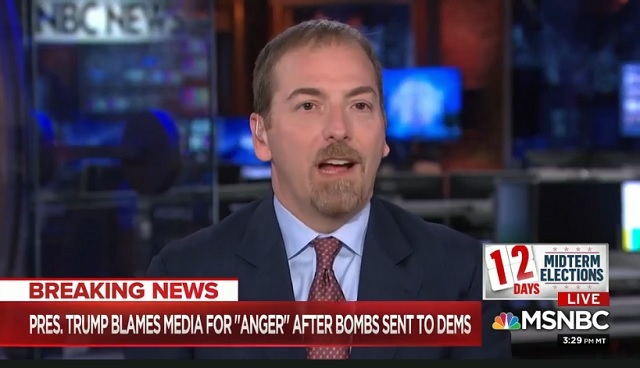 At the same time, Democrats are allowed to blame Republicans for the alleged attempted "bombing" and hold Donald Trump personally responsible for "inciting" the plot!